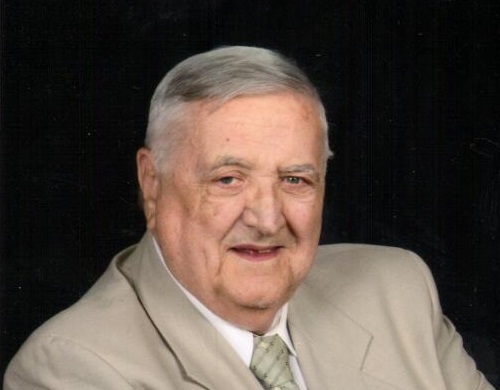 George Leroy Walker, 90, of Templeton, died Saturday, March 16, 2019, in Palm Coast, Florida. He was born on May 22, 1928, in Templeton, to the late Edward Abraham and Hazel Marie (Farster) Walker. He was a caster at Eljer Pottery and also worked for the Pennsylvania Railroad. Mr. Walker was a member of the Templeton Church of God and he enjoyed camping, singing, and loading up the motor home for family trips. He also played baseball and coached Little League, and enjoyed wintering in Florida for 32 years. He leaves behind to cherish his memories, the love of his life for 71 years, Peggy Keesey Walker; daughters, Kathy and husband, Dave Slagle, of Templeton, Susan Walker, of Flagler Beach, Fla., and Debbie Walker, of Palm Coast, Fla.; grandchildren, David Slagle, Matt Slagle, Andrea Blose Rix, Danny Walker, Ben Walker, and Jon Walker; great-grandchildren, Courtney, Cody, and Curt Slagle and Zoe and Gunner Rix; daughter-in-law, Gail Walker Turner; sister-in-law, Lois Walker, of Chesterton, Ind. ; and brother-in-law, Jack Keesey, of Pulaski, Pa. In addition to his parents, he was preceded in death by son, Daniel Walker; grandson, Nathan Slagle; brothers, Daryl “Pokey” Walker, Grover “Bo” Walker; and sister, Vivian Wyant. Family and friends will be received on Thursday March 21, 2019, in the Snyder-Crissman Funeral Home, 200 S. McKean St., Kittanning, from 2-4 and 7-9 p.m. Additional viewing will be on Friday, March 22, 2019, in the funeral home from 10 a.m. until time of the funeral services at 11 a.m. with the Rev. Robert Grimm officiating. Burial will follow in Tidal Cemetery.